With over 25 years experience in the door industry I have a wealth of knowledge and experience. Don't replace your door....... Upgrade it. Supply and install of all kinds of doors glass, locks and hardware, hinges and repairs. 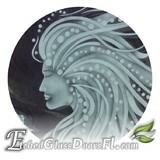 We provide residential glass doors with custom glass etching. Prehung exterior fiberglass doors and interior glass doors. They are offered with clear or textured glass depending on privacy requirements. We are a materials provider to contractors, decorators, and diy homeowners. 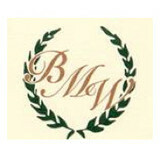 BMW Window Coverings has been serving Ocala and the surrounding area for over twenty years. Let our experienced team help you find the perfect window treatments to make your house a home. Our window treatments include shutters, shades, and blinds just to name a few and we carry all the major brand names including Hunter Douglas, Graber, Comfortex, and many more. Our talented workroom can provide you with custom draperies, bedding, pillows, and even shower curtains. We even specialize in motorization and offer a full upholstery service. Please browse our picture gallery below to view our products and give you ideas for beautiful windows. 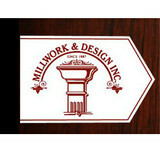 The craftsmen at Millwork and Design, Inc. don't just preach quality and competency, they practice it everyday. This is one of the few remaining shops that produce ultra high end millwork without computer programmed sawing and shaping equipment. A true craftsman knows that wood is an organic building material possessing unique characteristics that must be recognized and worked with in order to bring out all the natural beauty in a truly outstanding, finished piece. 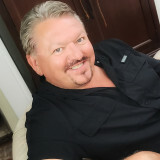 At the same time, Wayne and his veteran crew are value conscious and work diligently to ensure their work has a high value to cost ratio, regardless of the budget.Outstanding service is what Millwork and Design, Inc. stakes it's reputation on. Over the years, celebrity clients like Tampa Bay Buccaneers owner, Brian Glazer; former NBA great, Matt Geiger; and corporate magnate, Charlie Lykes, along with a host of other discriminating clients, have called on Millwork and Design, Inc. to design and fabricate architectural millwork that includes spiral staircases, ornate entry ways, exquisite wall and ceiling panels, and libraries with hidden rooms and secret access ways. "Our company’s mission is to provide honest, reliable service that stands head and shoulders above the rest. We continually strive to exceed expectations by ensuring that each project is completed on time and under budget. Our commitment to assuring the full satisfaction of our clients is something that we take great pride in. It has also earned us a reputation for excellence within the industry. When planning your next project, rely on a company that offers unparalleled knowledge, experience and expertise. Contact us today to learn more about what sets us apart from the competition. We look forward to the opportunity to serve you!" Art on Glass Designs has been in business providing Glass etching professionals with Stencils to product amazing Etched designs. Well Now we are etching Doors and Cabinets. All our designs are unique most of which are drawn in house by Matt Phillips. If you want something unique not on our website I would be happy to talk to you and produce artwork specific to your requests. Making sure that our locksmith technicians quickly and effectively addresses your service needs is our top priority at Accurate Locksmith. Give us a call for all of your automotive, residential and commercial locksmith needs. We’re here for you when you need us the most with our 24-hour mobile services. Count on us when you want and need fast and affordable locksmith services. Give our professional locksmiths the chance to provide you with immediate relief by giving you the help you need for your key and lock needs. At Accurate Locksmith, we are proud of what our locksmiths are able to do for you. With their specialized training and amount of field experience, there is nothing that our locksmiths can’t do for you. We help homeowners improve their level of security, commercial businesses maximize their security and motorists get back on the road quickly. With so much to offer to you, there is no reason you’ll ever have to rely on any other locksmith service in Springhill. We help our customers with their security needs by installing features that continue to prove effective against intrusions. Why not maintain your peace-of-mind by turning to us today for your locksmith security needs at Accurate Locksmith. When it comes to delivering quality services at affordable prices, we always deliver. This is why so many people in and around Springhill count on us for their service needs. You’ll always receive the best services possible. We stand by our work by offering guaranteed satisfaction to you. If Keystone Secure Locksmith can’t handle the problem, no one can. We are the most efficient and reliable locksmith service in town. With the help of our professional locksmith technicians, you can be sure that we will be able to effectively resolve your lock or key concerns. At Keystone Secure Locksmith we offer reliable commercial, automotive and residential locksmith services. You don’t have to settle for bad service as long as Keystone Secure Locksmith is around. In fact, we encourage you to find out exactly what we can do for you before you decide to turn to any other locksmith service. Our locksmith technicians are professionally trained and continue to prove that they are the most qualified to address your many lock and key service requests. With all of the experience of our locksmiths, there is no problem that is too challenging for them to effectively handle. Find out for yourself by contacting us for your service needs. We can do everything from extract keys, change locks, install new locks, open safes and more. Let us show you just how valuable our services can be to you by relying on us for your service needs at Keystone Secure Locksmith. The next time you have even the simplest lock or key issue, do yourself a favor and call on the experts of Keystone Secure Locksmiths. Why further frustrate yourself when you do not have to. We offer our services 24-hours a day at Keystone Secure Locksmith. Call for a complimentary consultation. Do you know Safe & Lock is a full-service Locksmith- Door and Safe sales and service Company . With over 45 years of combined experience in the Security & Building industry, we know what it takes to keep her clients to care and we go above and beyond to make it happen . We make custom Barn doors. All of our doors are tongue and groove, which makes it high quality workmanship. Made in USA. What kind of services do Citrus Hills door dealers provide? Door dealers are responsible for a variety of services, including door installation, replacement, door repair and custom door design. If you need a new door, Citrus Hills, FL door dealers will help you determine what kind you need, as well as shape, color, size and more. From barn doors to French doors to front doors, these professionals can help you choose, install and maintain your door investments. Wood doors are beautiful, versatile and tend to be the most popular choice for both interior and exterior doors; they are easy to custom build, and include oak, cherry, walnut, mahogany, maple, fir and pine. Some standard wood doors have MDF cores wrapped in wood veneers, which minimizes the chances of warping as real wood expands when wet and contracts when dry. If your heart is set on a wood door but you think the Citrus Hills, FL climate might cause it to warp, talk to your door professional about a furniture-grade veneered door. Aluminum doors have an insulated core and come in a variety of colors and finishes. With a baked-on enamel finish, they won’t rust or need repainting, and many come with a 20-year warranty. Next to wood they are the most expensive and have to be custom-made. A Citrus Hills, FL door dealer can help you find a reputable aluminum door manufacturer. Find door dealers and installers in Citrus Hills, FL on Houzz. Look in the Professionals section of our website and search for Citrus Hills, FL door dealers and installers. Read reviews, look at project photos and see how a pro can help with your home improvement project.